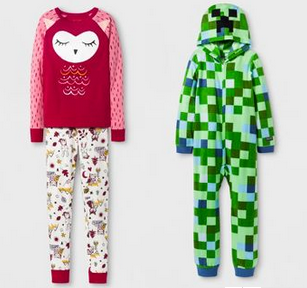 Now through December 8, Target is offering 30% off Kids & Toddler Pajamas both in-store and online. If you are shopping online, the discount will be automatically applied when you checkout. If you are shopping in store use the 30% off Kids & Toddler Pajamas Cartwheel offer – excludes family matching pajamas, Fan Central and clearance items.